You must make reservations at least 5 minutes in advance of the time at Cafe One - Sheraton Vancouver Wall Centre. Hotel parking is available off of Hornby. Street parking is also available. Live Music Monday thru Saturday Evenings from 9pm - Midnight! Whether playing a mix of classic lounge music or taking a page from the Great American Song Book, our house band brings the night to life at Bar One! Enjoy fresh Pacific West Coast fare beneath elegant Martha Sturdy chandeliers in Café One. Choose from ocean-friendly seafood, delectable pastas and salads, and a range of other delicious local creations. Join us to celebrate Mother’s Day! Our Chefs are preparing a luxurious Surf & Turf buffet alongside delicious Vancouver Brunch favourites-- for only $63 per person and $21 for children ages 4-12! The bar was busy and noisy. The restaurant was empty. By the time we left there were 2 other tables. It’s part of the hotel lobby and the acoustics do mean that there is a lot of noise bouncing around. Food was good. Tomato soup and chicken liver pate as starters then burger and a quinoa bowl for main courses. Nicely presented, tasty and decent portions. I Loved their bouillabaisse! And their orange sorbet and sponge cake! We were seated quickly by very friendly staff and the food was great well displayed and tasted great. Would definitely come by again for sure. Keep up the good work. My daughter and I wanted to do something different for Christmas this year. 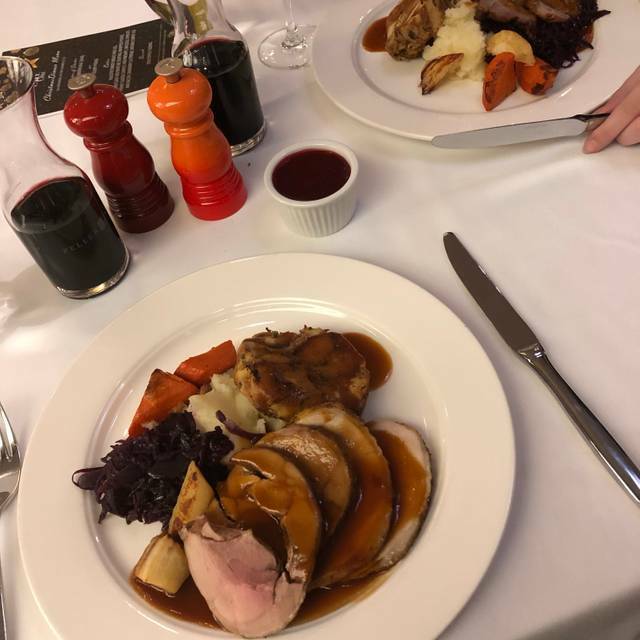 After looking at other menus offered in the city for Christmas dinner we decided that Cafe One was offering a reasonably priced authentic dinner. We enjoyed a wonderful turkey dinner with all the fixings. The service was excellent and dessert was to die for! Highly recommend Cafe One! We just came home from Christmas dinner at the Vancouver Wall Centre Cafe One and was somewhat disappointed. so we really didn't feel this meal was any different than any normal day in December at a Ricky's or IHOP. Six hundred dollars later we really didn't feel our Christmas dinner was a noteworthy experience we would repeat. In addition, we had members who were celiac and the Wall Centre was informed when we made the reservation and long before we attended. Everyone else ate a warm Toffee Sticky Pudding with ice cream and a pumpkin puree whereas our celiac members were only offered vanilla ice cream. You would think with advanced notice and given it was a special occasion some effort could have been made to make another dessert equal to the other members of our party. The fixed Christmas menu was unimaginative. Excellent service with such pleasant servers. I couldn't/didn't eat the main course as the turkey "roll" tasted awful - it was fatty and wild tasting. 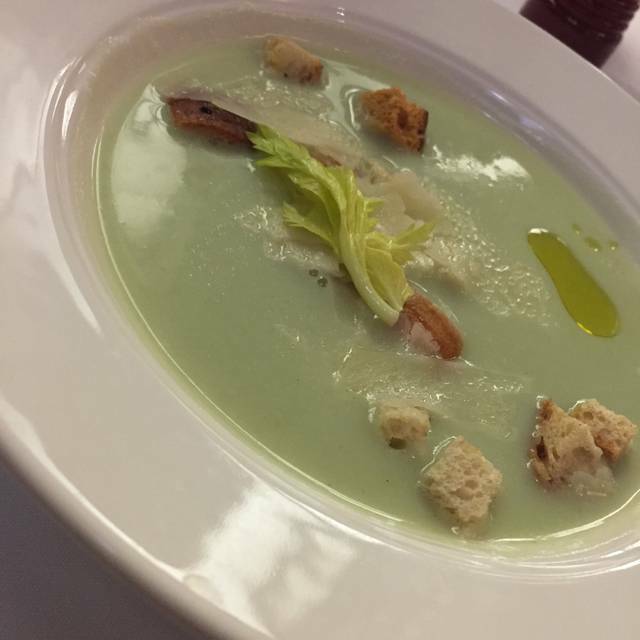 Good soup for an ordinary meal - celery "potage" is hardly Christmas fare. Dessert was pretty good but overall no value for money whatsoever. This restaurant was a nice place to have Christmas brunch with a small family coming from various locations in Vancouver and the Fraser Valley. The underground parking was easy to access and not expensive. The live piano music was lovely and the service was helpful and discreet. There were not a lot of vegetarian options but when I asked a server about that he went out of his way to find something extra and bring it to our table for the two vegetarians - the mushroom ravioli was delicious. We did not feel rushed at all and were able to spend several hours relaxing by the windows drinking tea. El menú suficiente y con buen sazón, la atención excelente. Would go again. I like the parking ease, the closeness to theatres and the ambience. Good place for lunch with lot of sunshine and nice ambience. I would give the food 5 stars but breakfast potatoes were frozen nuggets. Other than that, the food is excellent! Plastic chairs are too narrow for comfort. Uncomfortable see-thru plastic chairs that would only fit children or petite people. Absolutely ridiculous any person would think these are acceptabe for their restaurant. Very poor service. Food was not good. Ambiance lacking. Plastic chairs are ridiculous. Could never recommend. Never will go back. The only complaint I have are then uncomfortable plastic chairs. Stayed at the Sheraton and this restaurant was at the hotel. After a long day, we decided to not go far. The ambience wasnot the best but the service was great as well as the food so it was a good decision after all. 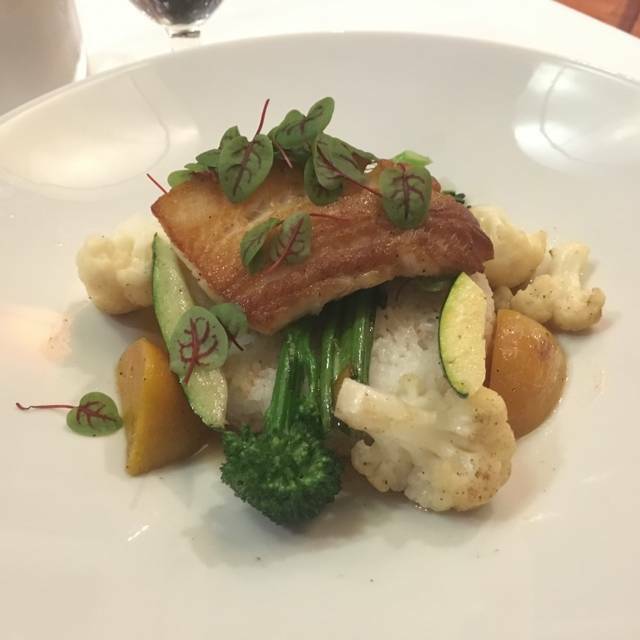 My fiance and I came to Cafe One (currently under construction so it was on the third level of the South building) for dine out Vancouver and a night away for his birthday. Unfortunately we were very disappointed by the food and the location of the temporary restaurant. Should have known that the temporary location wouldn't be very nice, but it was the mediocre $40 menu we were most disappointed with. It was unimaginative and lacking in flavour. However my salmon was cooked perfectly, which is something that rarely happens. I get that they have to produce a lot of the same food on the dine out nights, but producing luke warm food with very little interesting flavour when you're paying for the "top end" $40 a plate, we had hoped for more. Service was very good though, and my martini was fantastic. They definitely have a top end bartender on staff, as well as great servers! Solid choice for a nice evening out. we visited cafe one during vancouver dine out. we waited a long time for our appetizer , guest that arrived after us were served their dinner long before us. the quality of the food was not good and overpriced. chairs were plastic , very cold and uncomfortable. Fantastic food and service. I would highly recommend this place. And the live music is always great! Our server was very nice, got our orders right. Food was good, very generous portions. The Cesar salad was delicious, and my picky little one ate all of her chicken fingers. For the most part the service was very good, however, they ran out of the bottled wine I ordered, and the scotch that was ordered 'neat' came on ice (the waitress did not know what 'neat' was). Also, we had already finished our salad by the time we did get our drinks. However, the service mgr. did not charge me for the 9 ounce glass of wine I did eventually order, but charged me for a 6 ounce glass instead. The piano player was a great unexpected bonus. I eat at Cafe One quite often and will continue to do so. 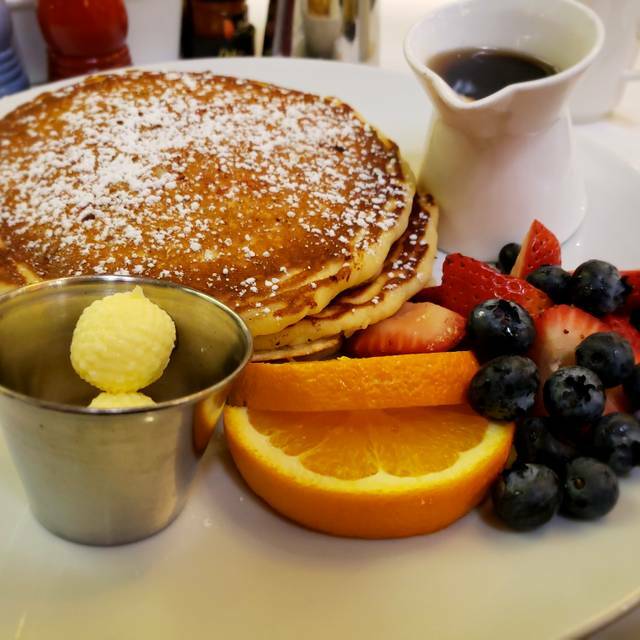 The food and service have always been top-notch. This was a Christmas Brunch. Did not think it was particularly good value for the money. Eggs were cold. Service was very good though. Live music, white table cloth and a window seat, great start. We had the beef and the sablefish mains starting with the crab cakes, all well presented with wonderful taste. Our 930 res led to an empty house, however the adjoining bar was full of energy. Cafe One is a fairly typical hotel restaurant but one that makes a serious effort with great service and good food. As is often the case, our Open Table reservation resulted in a very nice window table which had been reserved for us. Our hotel was in a transitioning neighborhood and the proximity of Cafe One made it a good choice. We enjoyed the evening. Very much a hotel restaurant, nothing special at all, ensure your expectations are in check before you come here. We came here for Dine Out Vancouver and had a great time! Easily one of the best Dine Out experiences I've had in years. 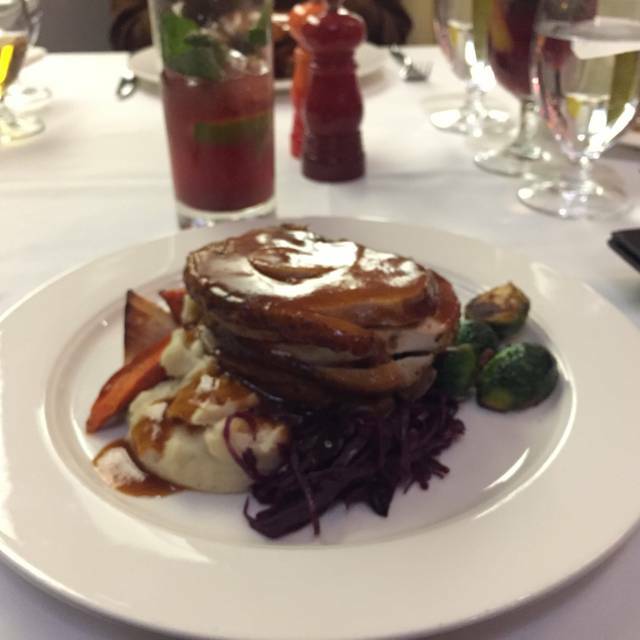 Service was friendly and attentive, food was great and atmosphere was lovely! Food was delicious and presented nicely. I was impressed that everything, from the starter to the dessert, was consistently great. I recommend checking this place out! We went for Dine Out Vancouver. It was the menu that really appealed to us-otherwise wouldn't have thought to go there. We were very happily impressed! 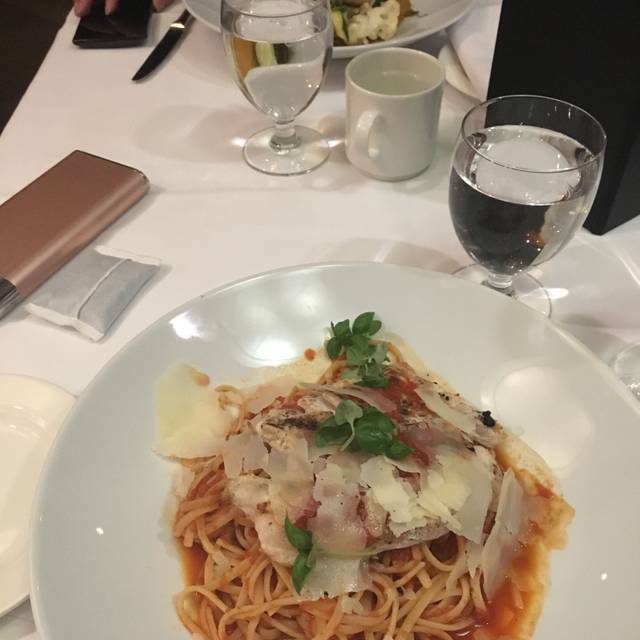 The food was excellent, service great-no complaints! Kids friendly restaurant, with children menu. Really enjoyed the food and the service was great!